When I’m in a dinner rut, one of my favorite foods to fall back on is tacos. I make them all the time (remember these breakfast tacos?) 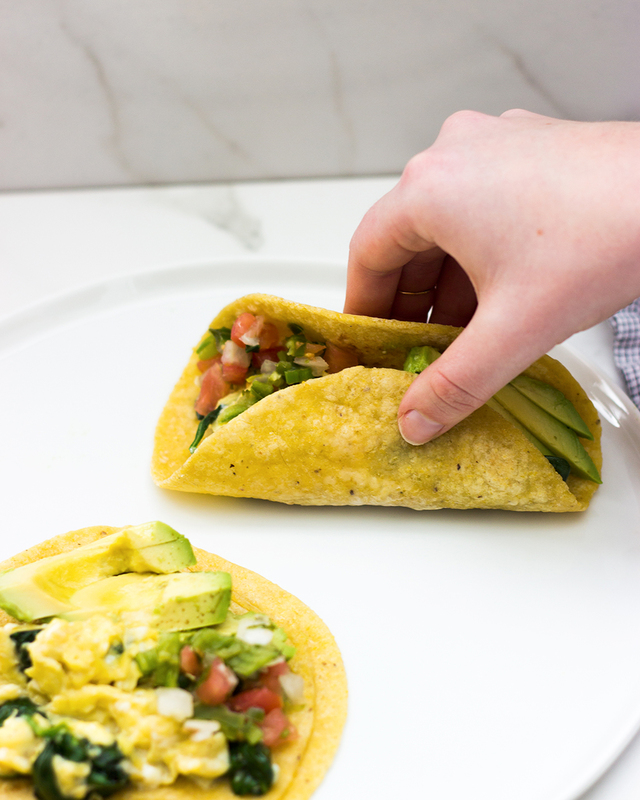 because you can throw just about anything into a corn tortilla and call it a taco. My latest favorite combo? Sweet potato and black beans. 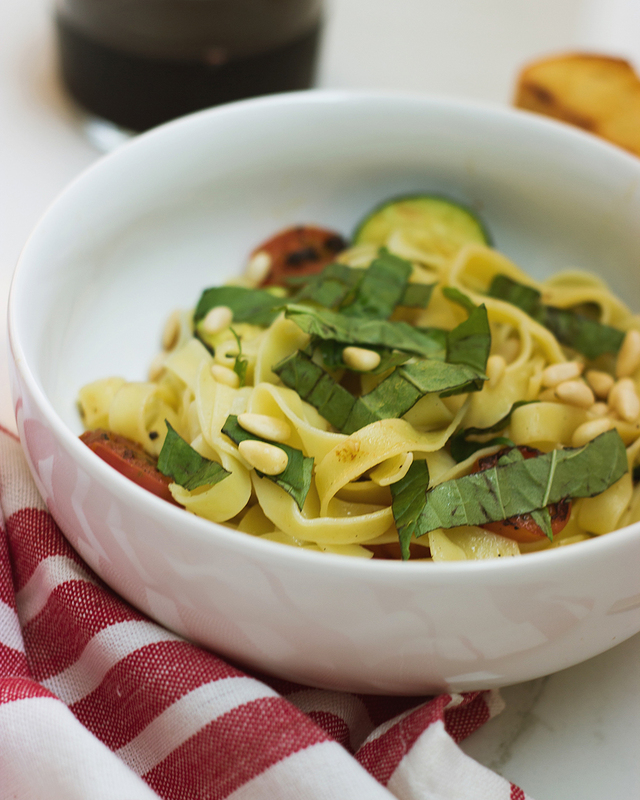 Add an avocado crema and you’re good to go! You can mix up the combos depending on what you have on hand. 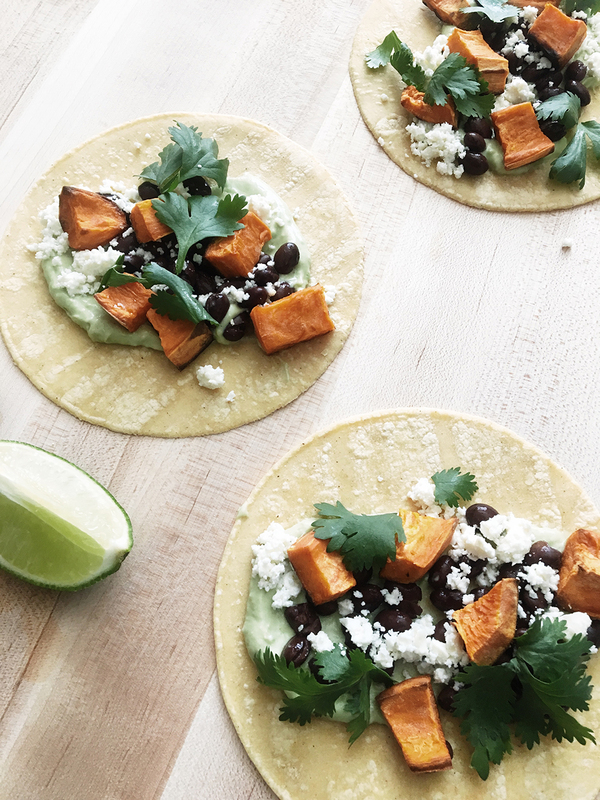 Swap butternut squash for sweet potato or pinto beans for black beans. Not a fan of feta cheese? Queso fresco would be a great alternative. The choices are endless! Combine avocado, yogurt, jalapeno, lime juice, pepper and paprika in a food processor or blender. Set crema aside. Preheat oven to 400 degrees fahrenheit. Place diced sweet potato on a baking sheet lined with parchment paper. Drizzle olive oil over sweet potato. Bake for 45 min, tossing halfway through. 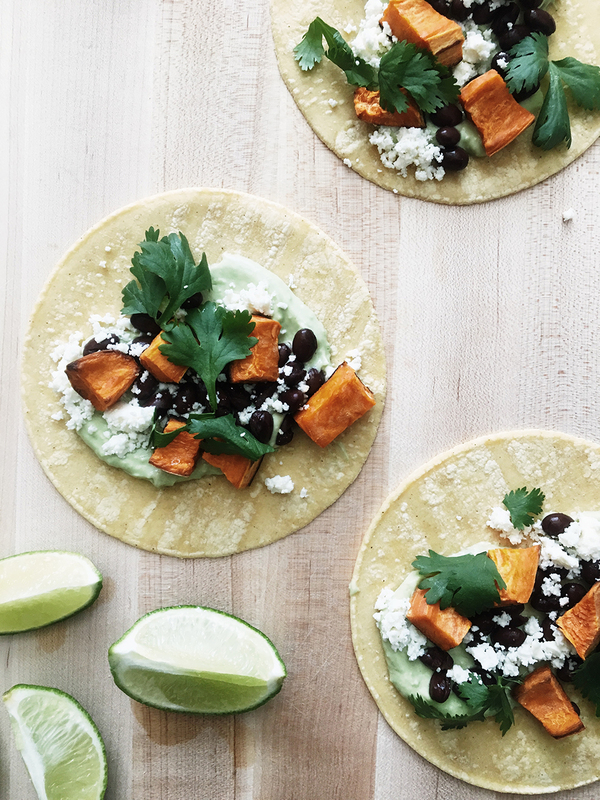 Assemble tacos by topping with 1 tablespoon crema. 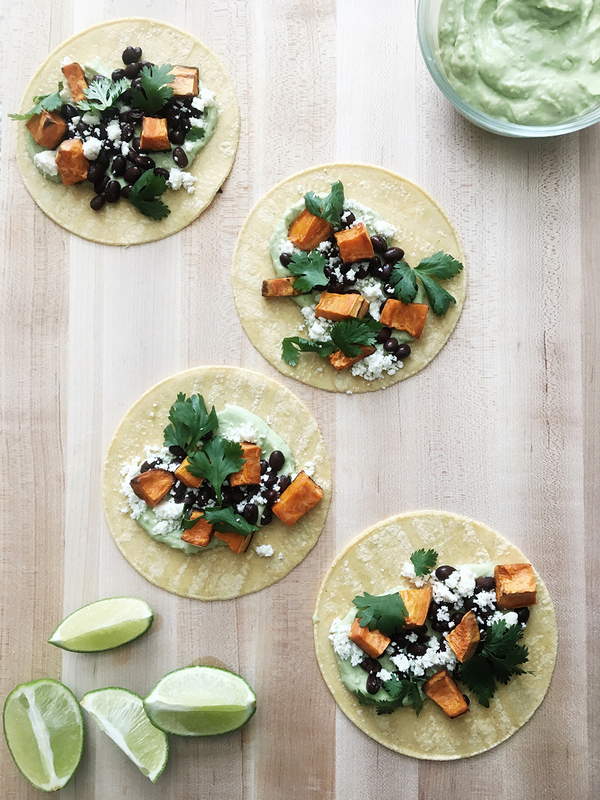 Add roasted sweet potato, black beans, feta and cilantro. Serve with a lime wedge. ← Urban Outfitters Spring Sales!